Top Stock Brokers in India are listed based on the overall value they bring on the table in terms of quality of service, brokerage rates, trading products offered, margin, offline support and more. Let’s find out the top stock brokers in India based on all the above-mentioned aspects and other related areas that are important while you choose a stockbroker for yourself. PAN India offline presence and so on. Some of the names among top stock brokers in retail Share trading industry include Angel Broking, ShareKhan, Zerodha, India Infoline etc. If you are a beginner or a small investor though, you can check out this detailed article on Best Demat Account for Beginners and Small Investors. From a consumer’s point of view, all they need is growth. The consumer has entered the market to make a profit over his/her investment and that is why the choice of the broker or share trading company is a very crucial decision he/she has to make. This question can help you to decide on the basic fundamental of trading. In share trading world, if you are looking to reap profits in quick time and want results in minutes, hours or days – then you are basically a trader. Thus, you will be making a higher number of transactions on a regular basis. On the other hand, if you are looking to put your money in the market on some trusted stocks and then hold the stocks for a long period (for instance 6 months, 2 years, 10 years etc. ), you are an investor. What a potential trader or investor looks for in a stockbroker? How to check the credibility of the Share Broking Company? Don’t get overwhelmed or impressed by the branding or market image created by the share trading company among the consumers. Have a detailed & thorough check before making a choice. Visit SEBI’s website to get an idea on some of the reputed share trading companies. Talk to people who are already trading/investing with a stockbroker and learn from their experience. Look at company’s offerings, their trading platforms, their regular research reports, brokerage charges, customer support, experience in the industry etc. Do secondary research on the internet and see what past customers have to say about the company. Be a little cautious here at the same time as some of the comments might be forged. Here are few Share Trading companies in India who have shown pretty good performance in the past 2-3 years and are challenging each other across technology, customer service & product innovations. Without further ado, here are the details on the top stock brokers in India along with the corresponding rationale behind putting them in this list. ShareKhan is one of the oldest pioneers in the online share trading space in India. Although it has been sold out to BNP Paribas for ₹2200 Crores recently, there has not been a change in focus post the acquisition. ShareKhan continues to boost this brand equity built over the last 16 years and has multiple trading platforms to offer to its customer base. Their online platforms include Trade Tiger, Share Mobile & ShareKhan Classic. ShareKhan is ranked 5th in the Indian stock market industry and has a presence in more than 675 cities in India. This is one of the major reasons that this has been kept under the top stock brokers list. They charge in the range of 0.015% to 0.1% depending on the margin money scheme picked by the customer. ShareKhan charges ₹750 as Account opening fees and ₹441 as AMC. One of the concerns with Sharekhan is its relatively high brokerage charges, which generally is the case with mainstream full-service stock brokers. Check out the complete review of Sharekhan. ICICI Direct enjoys a good amount of brand equity through its ICICI Banking services. This brand equity helps high scale customer acquisition at a low cost. Due to its high brand value, ICICI charges high commission charges for the simple reason of trust factor inhibited among the user base. It charges in the range of 0.5% for intra-day and 0.75% as commission charges. ICICI opens the Demat account for ₹975 while charges ₹500 as AMC. At the same time, it offers USPs such as 3-in-1 trading account, Classroom programs for learning share market, seamless integration with its trading platforms. ICICI has a total customer base of 2.6 million with coverage in 87 cities with 200 branches. It offers Trade Racer for its customer base to trade online. Trade Racer comes with features such as market watch, streaming quotes, advanced charting and quick transaction support. Check out the complete review of ICICI Direct. HDFC Securities is another full-service share trading company that has an advantage of brand equity gained via its banking services. However, a notch ahead, HDFC securities offers a one of its own kind 4-in-1 trading accounts. This allows the customers to seamlessly move funds and securities within their savings, demat and trading accounts. HDFC Securities has been around for more than 15 years and has high coverage with more than 200 branches. HDFC also has a desktop as well mobile trading applications. HDFC securities is known well for its research reports and accuracy of information on stock trends, market movements & industry dynamics. HDFC charges 0.5% as brokerage commission, ₹999 for opening the demat account & ₹550 as AMC. Check out the complete review of HDFC Securities. India Infoline or IIFL is one of India’s leading full-service and certainly one of the top stock brokers. They have recently introduced a discount stockbroking solution in the form of 5Paisa as well. India Infoline is majorly known for its wide offline presence, especially in North India. IIFL has a reasonable prominence in its research and offers regular tips, recommendations to its clients. Further, they have been putting a good amount of emphasis on their trading platforms including IIFL Markets, which is their primary trading platform. Established in the year 1995, IIFL has a wide offline presence through its 4000 sub-broker and franchise branches. IIFL charges ₹750 for opening a trading account and ₹555 for opening a demat account from its clients. It also charges ₹300 as annual maintenance charges on a yearly basis. It also has multiple options when it comes to brokerage plans, IIFL offers various options to its clients who can choose a plan based on their trading segment preferences. Some of the concerns around IIFL including its okayish customer service and clients cannot invest in mutual funds through IIFL. Other than that, IIFL is definitely one of the top stock brokers of India. Check out the complete review of India Infoline here. 5Paisa is a leading discount stockbroker in India (which used to have the backing of IIFL (India Infoline) until recently when it was set-up as a separate entity and in fact got listed on the stock market) launched a few years back and has a presence in Mumbai. It offers one of the lowest brokerage charges in India at ₹10 per executed order. Furthermore, in terms of trading platforms – 5Paisa offers a decent performing mobile app to go along with a web-based browser application Trade Station and terminal software. With backing from IIFL, it definitely adds up the reliability factor as well with 5Paisa. One of the best parts of opening an account with it is that 5Paisa offers free tips and recommendations on a regular basis to its clients despite being a discount stock broker. No discount stock broker provides that luxury. To open an account with 5Paisa, account opening fees is ₹250 and AMC (annual maintenance charges) stand at ₹400. The first 5 trades with 5Paisa are free and no brokerage is charged. Additionally, if you start with capital to INR 25,000 or more, then the AMC and account opening charges are also made Free. Check out the 5paisa offer here! Check out the complete review of 5Paisa here. Motilal Oswal or MOSL is one of the oldest full-service stock broking houses in the country with its establishment in 1987. They have, majorly been looking at Institutional securities but have recently pivoted towards retail stockbroking as well. Motilal Oswal also falls in the expensive stockbrokers’ category but what these full-service stockbrokers are doing recently is introducing multiple brokerage plans. With different options, the choice lies with the consumer on how much brokerage charges to pay. MOSL charges ₹1000 as trading account opening charges and ₹441 as Demat account annual maintenance charges. Motilal Oswal has done few innovations in customer service including Motilal Oswal Genie that allows its clients to get answers to few basic queries directly through an automatic bot. Apart from that, MOSL is known well for its wide range of trading applications across mobile, web, desktop and even a smart watch application! 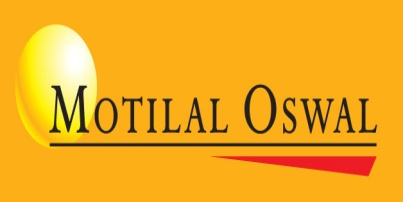 Check out the complete review of Motilal Oswal here. Zerodha was the first discount broker in India with its establishment as recent as 2010. Like other high volume traders and investors, the CEO of Zerodha, Nitin Kamath faced the same concern of paying out high brokerage charges to the stockbroker. Even though he’d spend most of his time in setting up his technical and fundamental analysis on stocks, a major chunk of the profits reaped was being taken away by the full-service stockbrokers. With Zerodha, he fixed this concern as Zerodha works on the flat rate brokerage model. Zerodha, today, is known for its amazing digital initiatives and product innovations, giving them a positioning of a digital-first share trading company in India. Zerodha offers different trading platforms such as Zerodha Kite Web, Kite Mobile, Zerodha Pi, Kite Connect API etc. They also introduced the concept of making sure the customer learns while trading with their product ‘Zerodha Varsity‘. Varsity is a full-fledged learning web app that guides beginners on the basic fundamentals of investing and trading in the share market. Zerodha has a clear-cut pricing model of ₹20 per transaction on Intra-day and no charges for equity delivery. Like the way discount broking works, they don’t charge you any other commission percentage irrespective of your transaction volume or size. Zerodha charges ₹200 while opening the demat account. Zerodha, however, does not allow you to invest in IPOs and its customer service is one area that still lacks maturity. Angel Broking is a well known full-service share trading company and has been in existence for the last 29 years. Established in 1987, Angel Broking has a presence in 1000+ cities in India with more than 8500 sub-brokers. Apart from the other offerings, its offline coverage helps the broker to be among the top stock brokers in India. Angel Broking charges commission in the range of 0.01% to 0.4% depending upon the margin money committed at the start. They open the demat account for free while charging ₹300 as Annual maintenance charges (AMC). They have different online trading platforms such as Angel Broking Trade, Angel Broking App and Angel Speed Pro. Angel Broking runs different offers for customers at different times of the year. Angel Broking has recently been coming out as a quick mover in multiple digital facets and very recently, they came up with a concept of ARQ, an engine that basically predicts the future performance of a stock by going through billions of data points collected over the past 20+ years. Among other aspects, Angel broking also provides decent market tips, research and recommendations at both technical as well fundamental level. However, Angel Broking has an average customer service to go along with a few concerns about its mobile app usage. Check out the complete review of Angel Broking. Trade Smart Online comes from the house of VNS finance, a financial house for the last 20 years in India. This discount stock broker is known for its flexible brokerage plans based on client’s preferences. For example, you can opt for percentage level brokerage (0.007% for Intraday) or a flat rate of ₹15 per executed order or you can also opt for ₹3999 monthly subscription price for unlimited trades. Working on the low brokerage business model, Trade Smart Online is known for its impeccable customer service which comes handy at crucial junctures such as a high shift in the stock market or during heavy traffic times. Although Trade smart online (or TSO) primarily offers NEST and NOW as the trading platforms they have recently introduced SPIN, a terminal based trading platform suitable for heavy traders. TSO charges ₹200 for both Demat and Trading account separately along with AMC (Annual maintenance charges) of ₹300. The only concerns with Trade smart Online include its high transaction charges and you cannot invest in IPOs while using TSO’s services. Check out the complete review of Trade Smart Online. Kotak Securities is another bank based stock broker that offers you a 3-in-1 demat account while cashing on its high brand equity gained through its banking services. Kotak Securities, with its 1200 branches across 360 cities and towns of India, provides a large offline network like Angel Broking and India Infoline. It has consistently put in its focus towards technology and its trading platforms across devices are few of the highest performing trading platforms in India. To go along with different trading softwares, Kotak securities offers some technical tools as well that help users to perform their analysis. Kotak Securities charges ₹750 to open a trading account and levies a maintenance charge of ₹600 which can be paid monthly at the rate of ₹50. As far as brokerage is concerned, Kotak securities has a range of plans – including fixed percentage brokerage plans (which are generally expensive) as well as plans based on subscription charges. Kotak securities works well for heavy traders that need help in technical and fundamental analysis. You can check detailed understanding of brokerage plans of Kotak securities here. All being said, Kotak securities is one of the expensive stock brokers when it comes to the brokerage. Check out the complete review of Kotak Securities here. This concludes the list of top stock brokers in India. You may also choose to read this detailed review in Hindi as well. Share trading industry requires your time and effort as an investment as well apart from the monetary investments you, as an investor, make. Be wary of the offerings your share trading company opens up for you and understand in length how they are better than the competition. If you want thorough understanding and knowledge coming from the research team, make sure how their researchers are looked upon. Do they have a regular presence on business channels among other things? If you are looking to test the waters, go with discount brokers because you will know how much money will be at stake while making the transactions. Do You Need Free Tips & Research? Any Other Requirement (please mention)? Its not missed. Samco is evolving into a good broker option but is certainly not among the top 10 stock brokers in India as of now. Very insightful. Worth a read! How about hem securities ltd ?? Great explanation on what is a difference between the trader and investor. A lot of people are unclear about the two. Thank you for clearing this. This reminds me of a person Arvind Bajaj who can provide useful insights while stock trading and dealing in investing in share markets. His vast experience in the markets, has lead to a huge satisfied customer base. Very insightful post on stock broking companies in Mumbai. Thanks for sharing. I lost everything thing I had to Gtoptions,after months of searching had to hire a refund professional company to recover my funds. I’m glad I got a refund others weren’t so lucky. Happy to share my experience. In 1944, Mr. Prabhudas Lilladher Sheth registered with a vision of rising up to become India’s leading financial services provider. It has been a long journey since. A journey of success, based on strong adherence to ethics, uncompromising dedication to quality and an attitude of excellence. Imbibed in our corporate culture, these founding principles have guided us to reach the pinnacle that we are at today. Over the years, PL has evolved from a standalone brokerage firm to a one-stop shop to companies for all financial services.